Look out for the Clocks changing this weekend..
We will be feeding the kites at 3pm today, and Saturday, but from Sunday (27th October) feeding will be at 2pm right through to the end of March (when the clocks change once again). We can't tell the birds that the clocks have changed.. 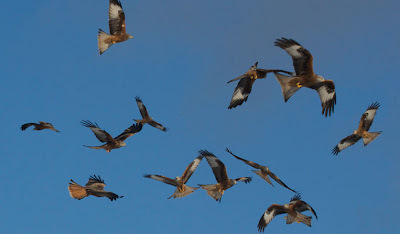 Hundreds of red kites, and a red helicopter drops in.. I'm back on the farm after a spell away for treatment in an oxfordshire hospital :-|. Colin Horlock is feeding the kites, and there are a huge number of these birds to feed at this time of year! The meat supply has been a lagging behind our needs this autumn, but I've now been assured that the problems are resolved and that we will have the opportunity to buy a far greater amount from this coming Monday and onwards. Back in August an elderly lady was taken ill while down at the hides. 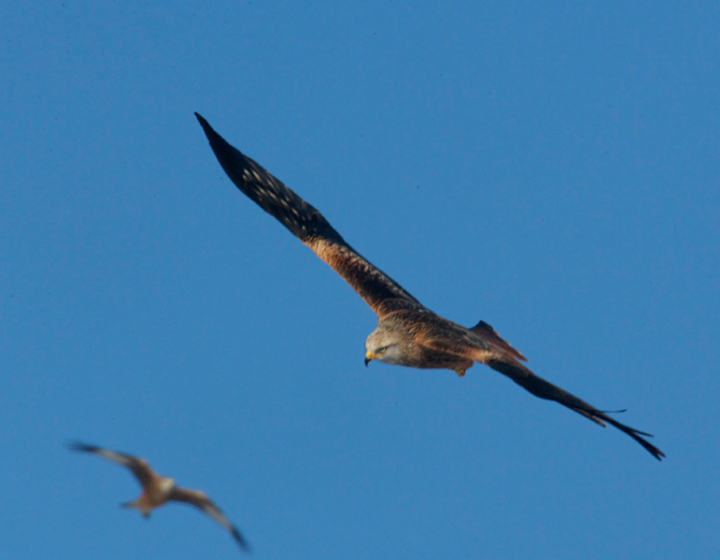 The air ambulance was called in and landed close to the kite feeding hides. The donkeys were over interested in the flying machine and had to be dissuaded from pulling cables etc. from the helicopter. The helicopter took off with its passenger strapped inside and left us at great speed (Hereford is 45 miles, and arrival was expected in 20 minutes!). We’ve since learned that the lady recovered well and was discharged a day or so later. Plans are going ahead with our new Cafe. We are aiming to open for March 2014, just a few months to finalise things and get everything in place. We believe we are featured in tonights episode! 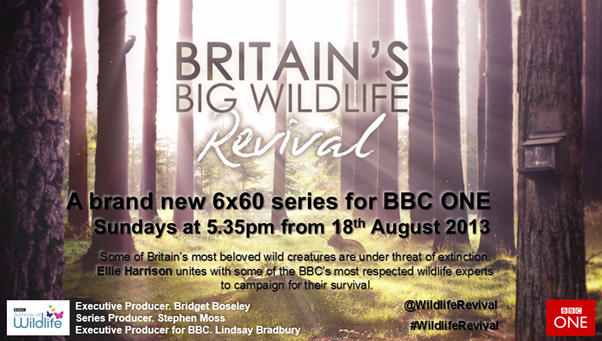 A brand new series of BRITAIN’S BIG WILDLIFE REVIVAL which is starting on Sunday 18th August 2013 at 5.35pm on BBC ONE. 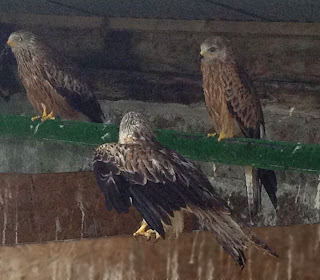 We have had four red kites in one of our rehabilitation aviaries for the past couple of weeks. Each had a different malady. Two were released this morning, having recovered enough to go back and fend for themselves. 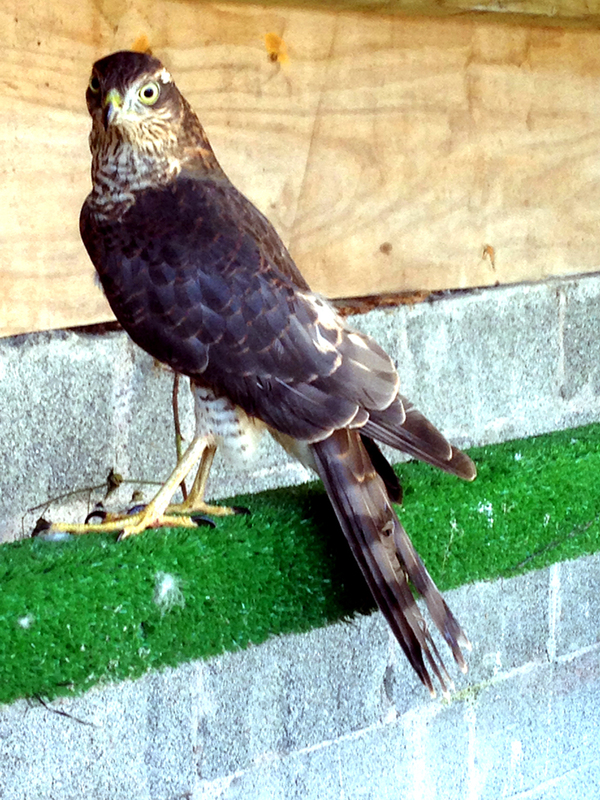 We also had a sparrowhawk brought in last week, having had an altercation with a cat! 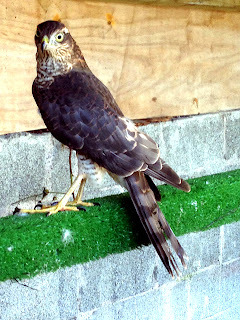 Happily this bird was released yesterday, and after a quick rest on top of the aviary. flew off with speed across the fields. 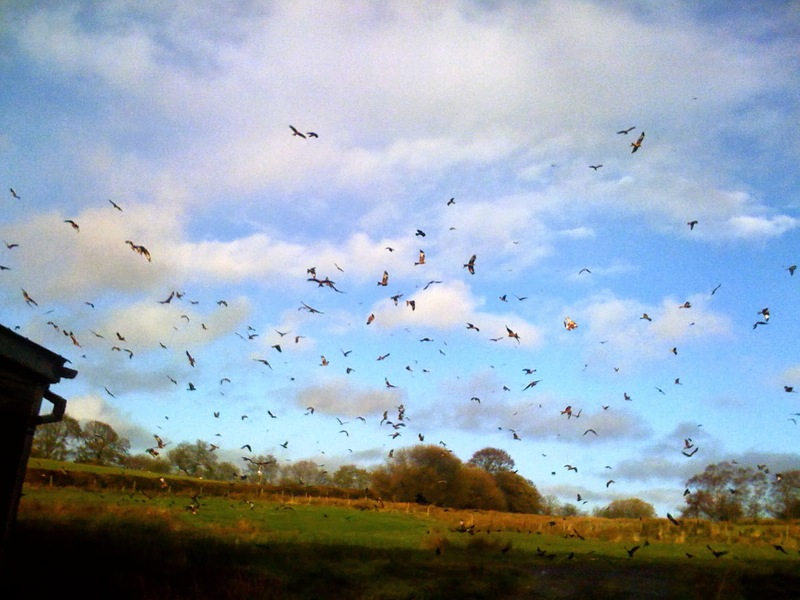 The number of red kites currently feeding here are around 250/300 daily. 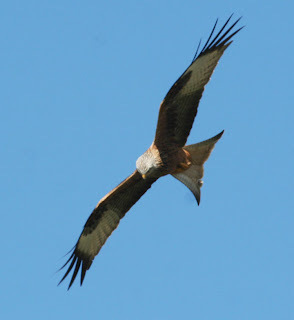 In August the timing of the kites arrival can go a little astray.. I think the latest we've seen so far is 4:20pm, but most days the are still on time for the 3pm feed/. Colin Horlock is now feeding every day, as I have some health issues to deal with in the short term. We thought you might like to know what we’ve been up to here at Gigrin over the last twelve months or so – it’s been a pretty busy time! – and we’d like to share some of our plans for the future with you. One frequent enquiry from our customers is ‘do you have a café? At the moment we don’t (snacks and drinks are via vending machines in the Kite Centre) – but the really good news is that we are planning to open a café, here on the farm, next Spring! We’re very excited about this, its something we’ve wanted to do for some time now, but our available funds have been somewhat stretched in keeping up with essential repairs and maintenance. So, we’re very happy to be able to now answer that particular enquiry with ‘not at the moment but please come back next year and try out our new café then’. We’re also planning to overhaul our website – it’s served us well over the years but now needs a bit of a technological and cosmetic face-lift! As to what we’ve done recently – we’ve achieved a lot! In addition to the normal day to day activities here, we resurfaced the driveway to the farm, re-roofed a number of the hides, refurbished one of our barns, installed cameras around the farm to enable the kite feeding and the rehabilitation centre to be viewed from the Kite Centre, refurbished and restocked the shop, joined facebook, and introduced guinea pigs for the benefit of our younger visitors (originally 9 girls! or so we thought – we’re now up to over 30!!! – a rogue male or two were in the pack!). 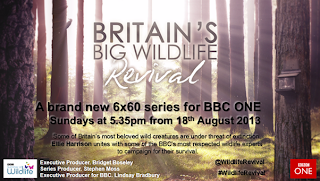 We hosted Springwatch earlier this year, Simon King OBE has installed cameras into the kite feeding area for his website page, and other TV crews have visited which will hopefully lead to more TV coverage later this year. A lot of progress has been made, none of which would have been possible without the continued help of our staff, Alan, Mary, Colin, Rachel and Joe, who we’d like to say a big thank-you to. 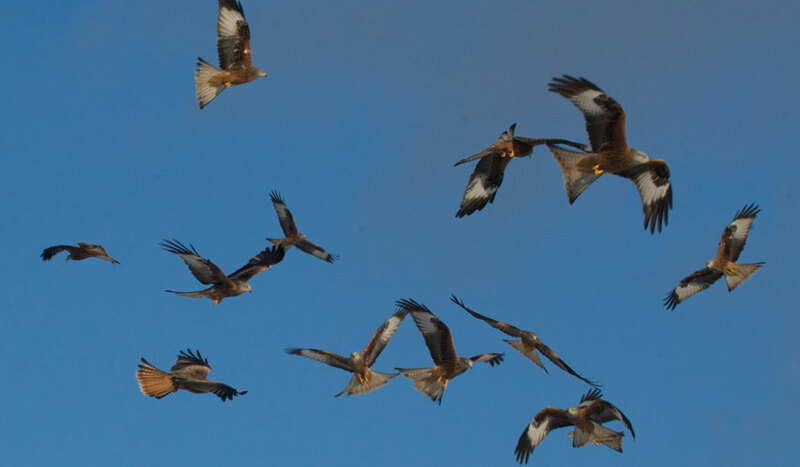 And, of course, none of this could not have been done without your visits to the red kite centre here at Gigrin. We hope you all enjoyed Spring Watch last night. It was a privilege for us here at Gigrin to be able to act as host to Iolo and the Springwatch team for his presentation about how the Red Kites, after many years of successful repopulation in mid-Wales, were then reintroduced to other areas of the UK, in particular the Chilterns, from the continent. Sadly our attempt to attract the Kites for an evening feeding was not a success - these birds are creatures of habit!! They like to feed during the day and settle in during the evening - but it was worth a try! Maybe next time. 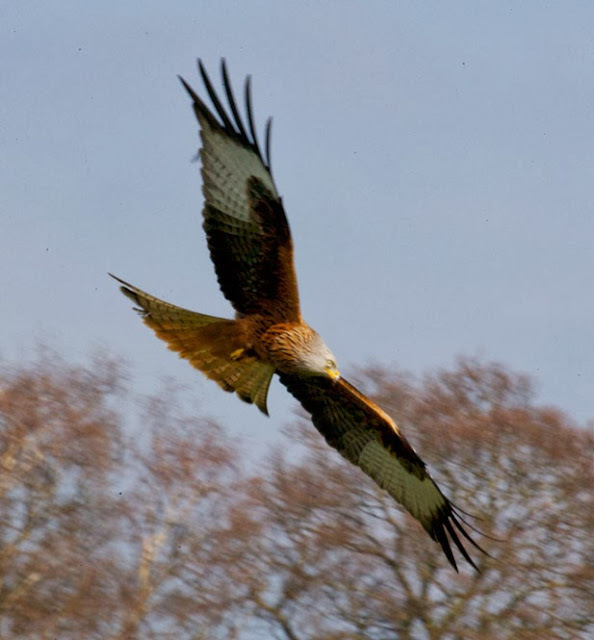 If you're a fan of the Red Kites and would like to see them up close we'd love to welcome you to our wildlife friendly farm.